Below you fill find all funeral homes and cemeteries in or near Pinckneyville. Pinckneyville is also known as: Perry County / Pinckneyville city. Zip codes in the city: 62274. Some of the notable people born here have been: David Jensen (actor). It was written by The County Journal on February 28th, 2019 that David Joseph Baranowski died in Pinckneyville, Illinois. Baranowski was 49 years old. Send flowers to express your sorrow and honor David Joseph's life. It was disclosed by The County Journal on January 24th, 2019 that Darryl G Wilson passed on in Pinckneyville, Illinois. Wilson was 75 years old. Send flowers to share your condolences and honor Darryl G's life. It was disclosed by The County Journal on January 10th, 2019 that Viola M Marlow (Schwarz) passed on in Pinckneyville, Illinois. Ms. Marlow was 89 years old. Send flowers to express your sympathy and honor Viola M's life. It was reported by The County Journal on December 27th, 2018 that Mary Frances Kelly (Bolinski) passed on in Pinckneyville, Illinois. Ms. Kelly was 86 years old. Send flowers to express your sympathy and honor Mary Frances's life. It was written on November 22nd, 2018 that Mabel Catherine Woodside (Yung) died in St Louis, Missouri. Ms. Woodside was 88 years old and was born in Pinckneyville, IL. Send flowers to share your condolences and honor Mabel Catherine's life. It was noted on November 1st, 2018 that Darlene Hocking (Woodside) perished in Houston, Texas. Ms. Hocking was 84 years old and was born in Pinckneyville, IL. Send flowers to express your sorrow and honor Darlene's life. It was reported by The County Journal on October 18th, 2018 that Karen Eileen Rennison (Yeager) perished in Pinckneyville, Illinois. Ms. Rennison was 78 years old. Send flowers to express your sympathy and honor Karen Eileen's life. It was noted by The County Journal on October 11th, 2018 that Carl R Jones passed away in Pinckneyville, Illinois. Jones was 81 years old. Send flowers to express your sympathy and honor Carl R's life. It was written by The County Journal on October 4th, 2018 that Elinor "Nadine" Gielow (Stanton) perished in Pinckneyville, Illinois. Ms. Gielow was 83 years old. Send flowers to express your sympathy and honor Elinor "Nadine"'s life. It was noted by The County Journal on September 27th, 2018 that Randy Michael "Nip" Thies passed away in Pinckneyville, Illinois. Thies was 59 years old. Send flowers to express your sorrow and honor Randy Michael "Nip"'s life. The population was 5,464 at the 2000 census. 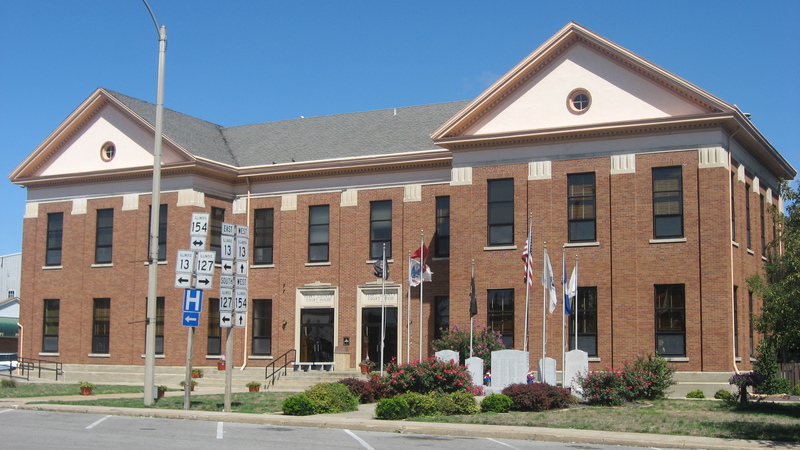 It is the county seat of Perry County, Illinois County. Pinckneyville is a city in Perry County, Illinois County, Illinois, United States. It is named for Charles Cotesworth Pinckney, an early American diplomat. . The official website for the city of Pinckneyville is http://ci.pinckneyville.il.us/. Here are the results for funeral homes in Pinckneyville Illinois. You can find some of the best funeral homes businesses serving Pinckneyville. Listing all funeral homes in Pinckneyville, Illinois so you can easily send flowers to any location (same day delivery) or find any funeral service. We work with local florists and flower shops to offer same day delivery. You will find budget sympathy flowers in Pinckneyville here. Our funeral flowers are cheap in price but not in value. Is a Discount Funeral Home a Good Idea?